It seems checking for updates in v0.6.3 prompts the user with an error message as it's trying to see if the current version is lower than itself. 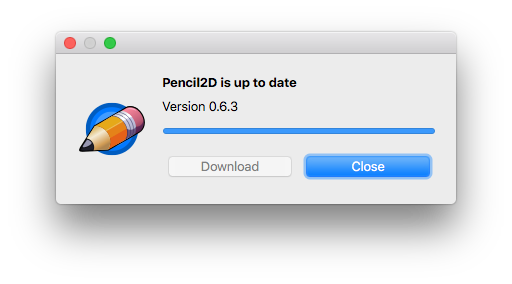 Ideally It should say something along the lines of "your version is up to date" when probing the current download version. Candyface tested that the feature works in 0.6.2 (macOS) but he was using the Qt version. 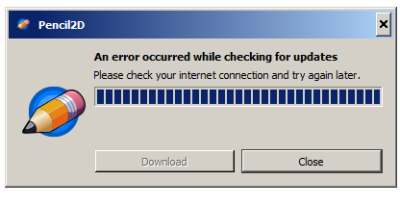 Wait for it to populate the progress bar. It will show an error. Note: If it doesn't report an error, please comment your operating system. Qt needs two extra OpenSSL DLLs (ssleay32.dll and libeay32.dll) to establish HTTPS connections on Windows. A quick workaround is to use http instead of https.